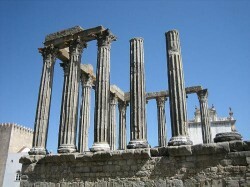 The Temple of Diana is a Roman temple located right in the heart of the historic city of Évora, Portugal. Known in Portugal as the Templo de Diana, the Temple of Diana dates back to the second century AD when Évora was an important Roman military outpost in Portugal, following its heyday as the headquarters of the Roman military commander Quintus Sertorius during the first century BC. 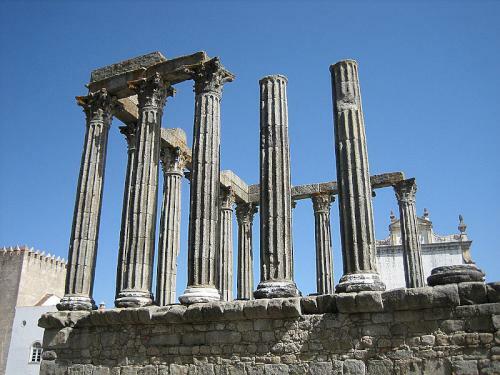 The Temple of Diana is located within the UNESCO World Heritage area of Évora and is one of the city’s most important landmarks, and one of the most important pieces of Roman architectural remains in the whole of Portugal. In ancient Rome, Diana was the goddess of the moon, the hunt and chastity and the temple was dedicated to her upon its construction. 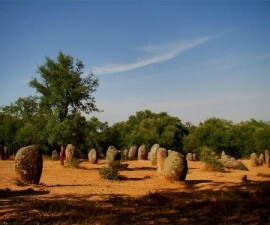 It is believed that there would have been other similar temples built in the city around the same time, however if this is the case they have not survived. This example is incredibly sturdy and well built, having sustained little or no direct damage as a result of the devastating earthquake that shook nearby Lisbon to its core in 1755. 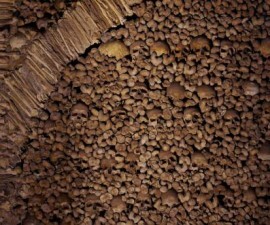 Historians have established that the Roman temple was used as an execution site during the Inquisition and as a slaughterhouse in later years, right up until the late nineteenth century. 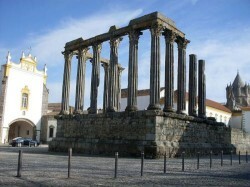 The Temple of Diana is located right in Évora’s central square at the highest point of the city and is surrounded by a number of other ecclesiastical buildings that were associated with the Inquisition in Portugal during the middle ages. These include the Sé Cathedral, the Palace of the Inquisitor, the Court of the Inquisition, the Palace of the Dukes of Cadaval and the Lois Church and Convent (which has been restored and transformed into a beautiful boutique hotel). 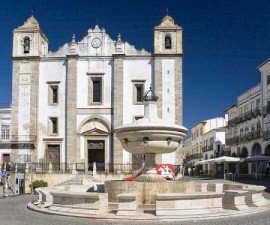 The public library and Évora museum are also located here along with the medieval façade of São João Evangelista and a garden affording lovely views to the Roman aqueduct below and the rolling green hills of the Alentejo countryside beyond. Considering it dates back more than 2000 years, the Roman temple is in excellent repair, retaining 14 original columns in Corinthian style plus many decorative features in a heady mix of granite and marble.